Christmas is my favorite time of year. It takes approximately 2 weeks to decorate both the inside and outside of our house. This is only a few photos of the beginning of decoration. Well that's if for now. 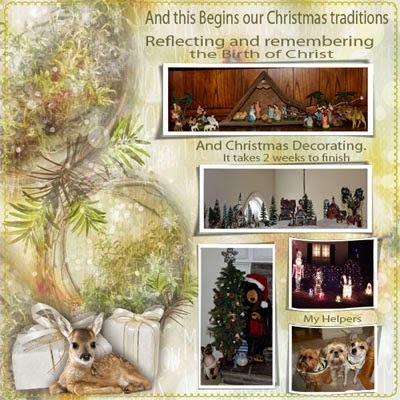 My store, Dillies Designs is 45% off until December 31, 2014. Enjoy and make it a great day. Thanks for reading. MyMemories store and enjoy 45% off!